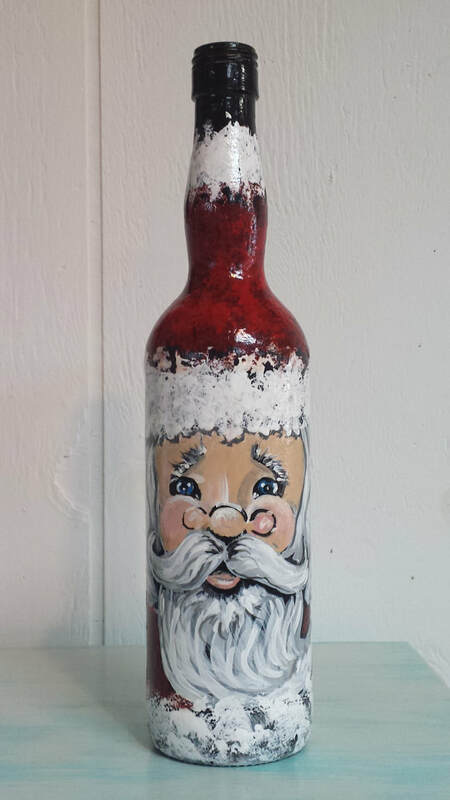 You will be furnished with the supplies to create your own Santa Wine bottle. What a fun way to spend time with friends! ​Register early to assure your place in the class and to ensure the class will meet minimum enrollment. If the workshop is canceled due to lack of registration, each participant will be notified. A full refund will be offered. Class size 10-15 participants. 2. Come by the Guild to pay by cash, check or credit card. 3. Call 325.247.4839 during business hours to register and process your credit card payment over the phone. Marsha Lovelady taught art for 14 years before going to work for Chevron in 1989. She was a Reservoir Engineering Analysis for 23 years before retiring in Horseshoe Bay. She is married to David who patiently helps with projects and gives tactful criticism. Marsha loves to teach workshops and contributes each November to the Bayside Bazaar in Horseshoe Bay.